Global trade management can be complex…and so can the terminology! We created a series of short videos to help you understand the basics. 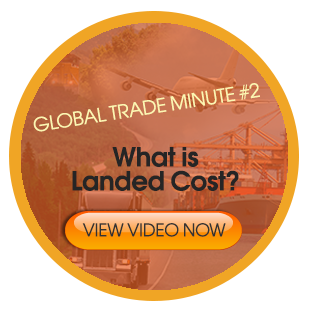 Last week we introduced the second video in the series, which focused on landed cost. This week we will focus on duties and tariffs. 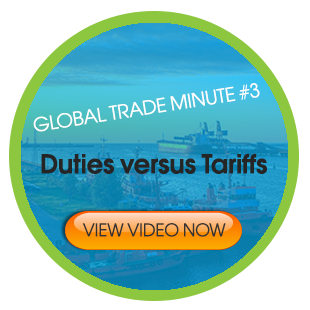 In the third video of the series, we explain the difference between a duty and a tariff. Although the two words are often used interchangeably, they are quite different. There is a lack of awareness in some small to mid-sized companies (SME) with the amount of tax planning for import duties. Because of this, there are a lot of missed opportunites to reduce company costs. According to Import Duties: Bend Me, Shape Me, Any Way You Want Me in CFO magazine, there are many key strategies to use import duties to your advantage. According to American Shipper magazine, both the U.S. and Indian government have announced an incentive to encourage small to mid-sized companies to trade bilaterally between the two countries. After posting yesterday on some of the issues the new 10+2 rule is creating for importers, I found this article in American Shipper that discusses some of the challenges specific to smaller importers: Reaching the Little Guy. 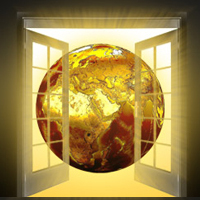 Some major challenges are that many small businesses do not have representatives in foreign countries to track down the necessary information, they are hindered by working in different time zones, or they do now even know who the primary manufacturers are that are used by the buyers with whom they place their orders. I haven't seen this issue discussed a whole lot in the extensive press coverage on 10+2, but seeing as how small and medium-sized enterprises do make up a significant percentage of importers, it's definitely worth taking a look at.